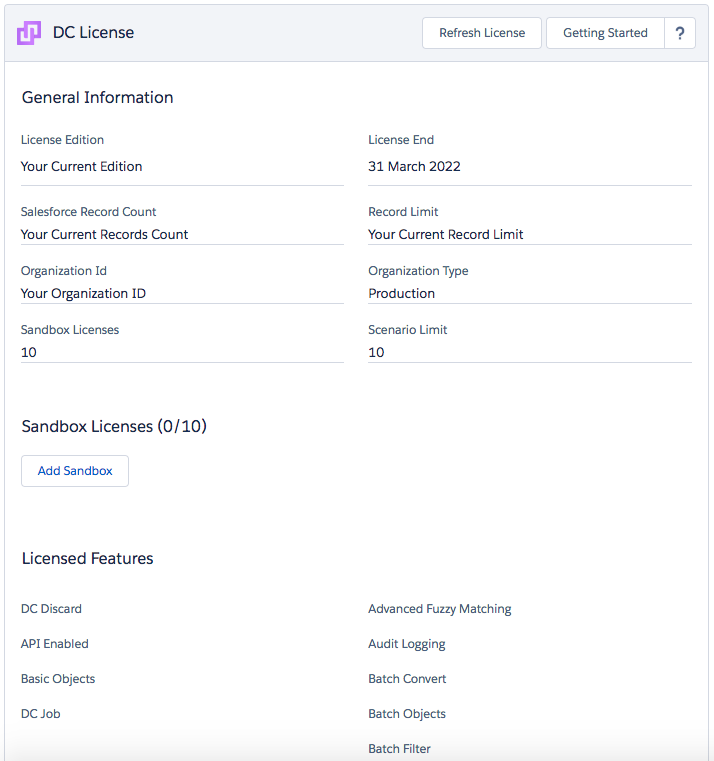 At the DC License page, you will find valuable information about your current Duplicate Check Edition, License Expiration date, your ORG ID, all the features included in your current edition and more. After clicking the 'Refresh License' button, the recently changed license will be activated. Example: If you use the Free Version of Duplicate Check and recently subscribed for one of our paid editions, only after you click on the 'refresh license button' the paid edition will be activated and ready for use.